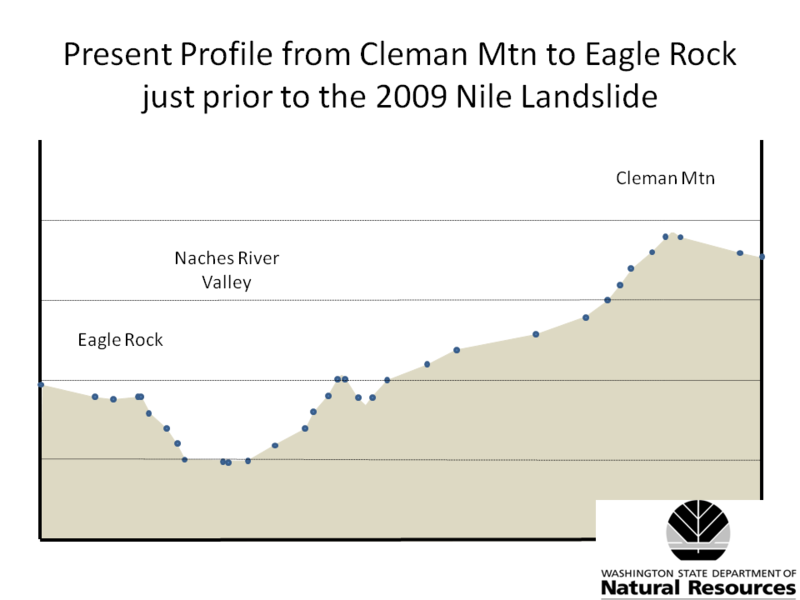 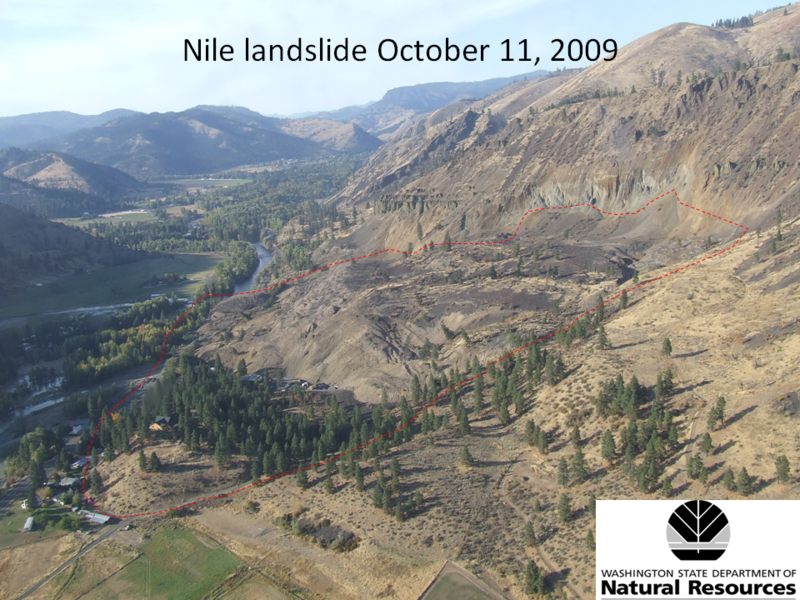 The Nile Landslide is part of a much bigger landslide system. 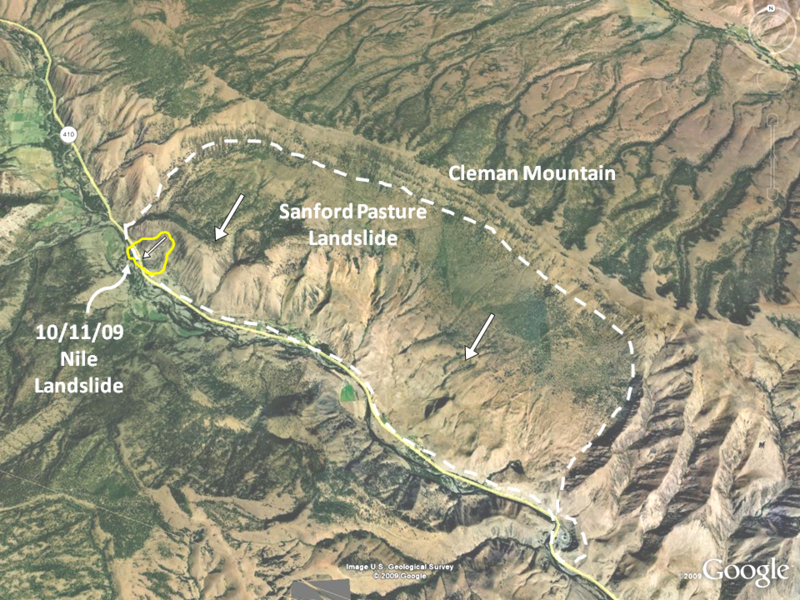 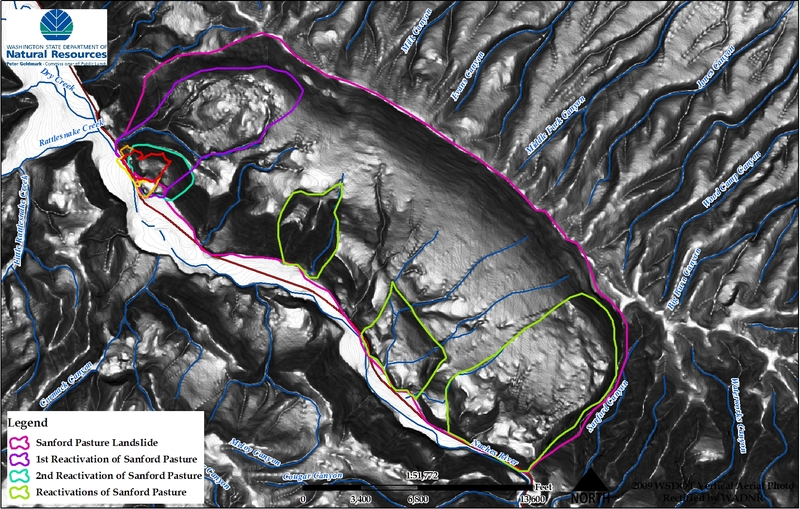 The Sanford Pasture Landslide is perhaps the second largest landslide in Washington State, it is about 6 miles long an over 2 miles wide. 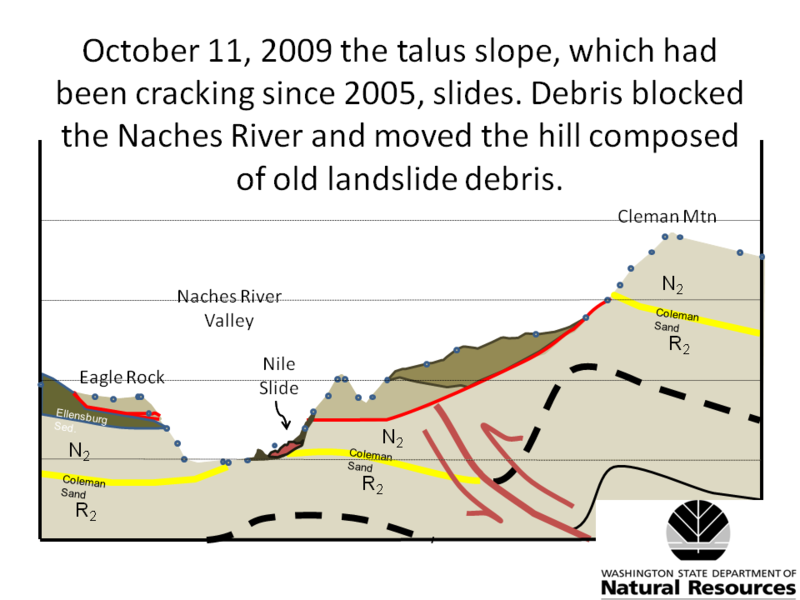 The Malaga (aka Stemilt) landslide is the largest landslide in Washington State. 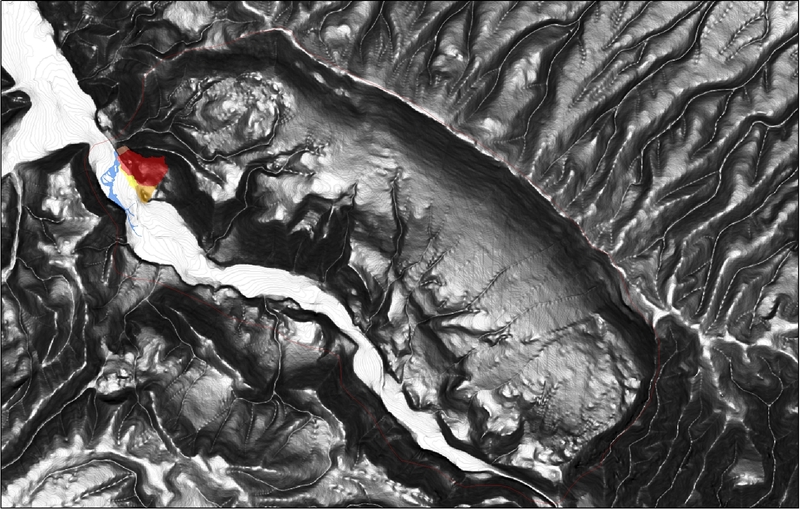 That little red blob at the bottom left of the map, that is the Nile Landslide that just occurred. 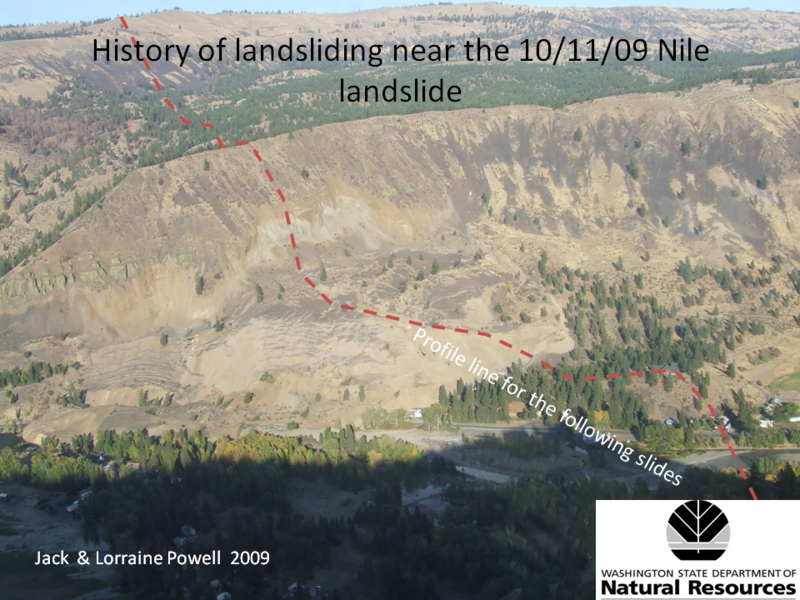 The Nile Landslide is actually on a secondary failure (probably resulting some point after the initial movement of the bigger landslide), probably on the toe of that landslide. 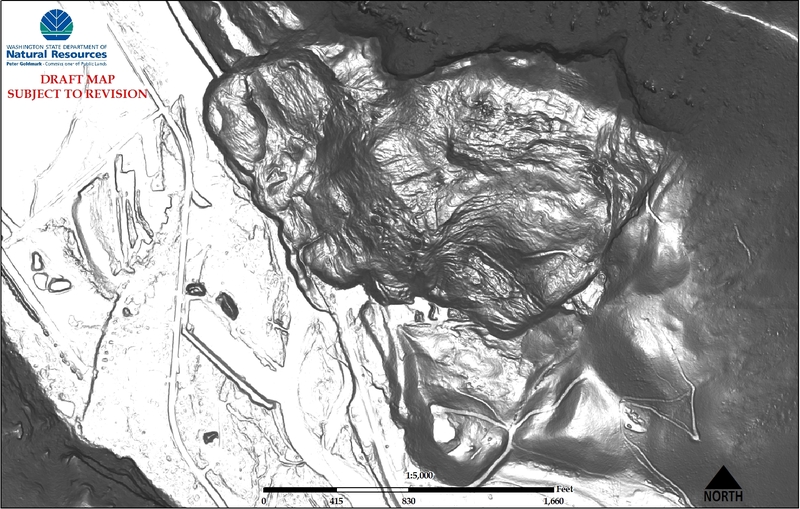 The worry is that the removal of mass on the toe might weaken the upper material by the removal of lateral material. 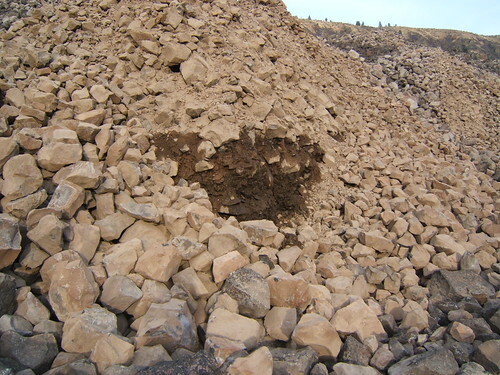 There is a lot of rock up there and if the landslide propagated up or actually triggered a larger block up slope, the result could be the entire valley filling up with sediment. 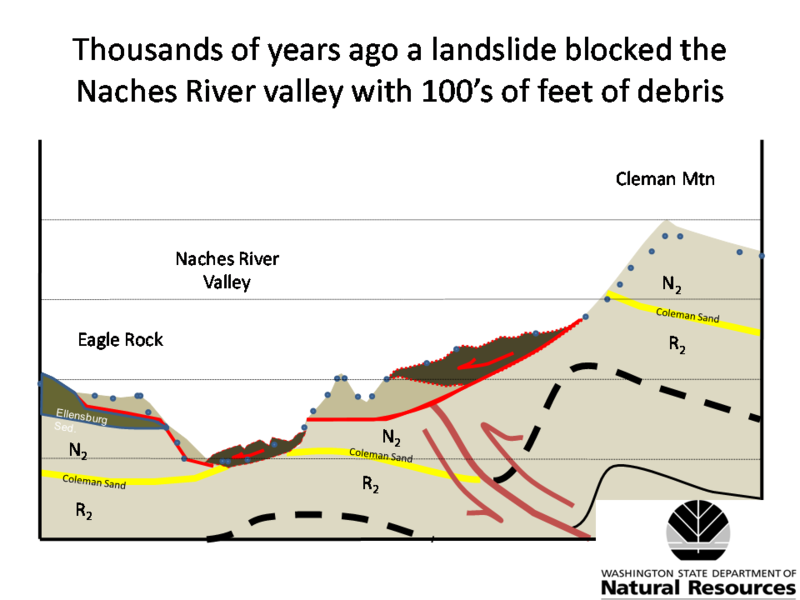 Bare in mind that there is a very low chance of this occurring, but it is something we need to checking out. 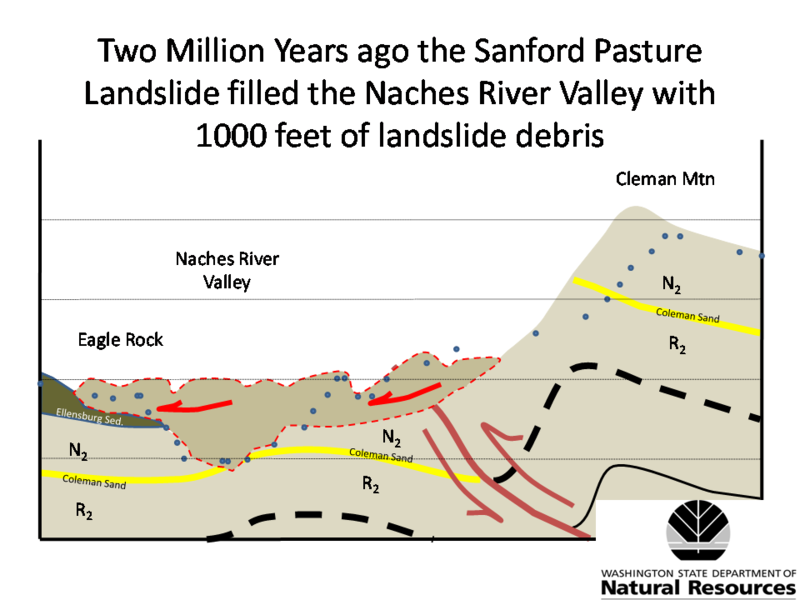 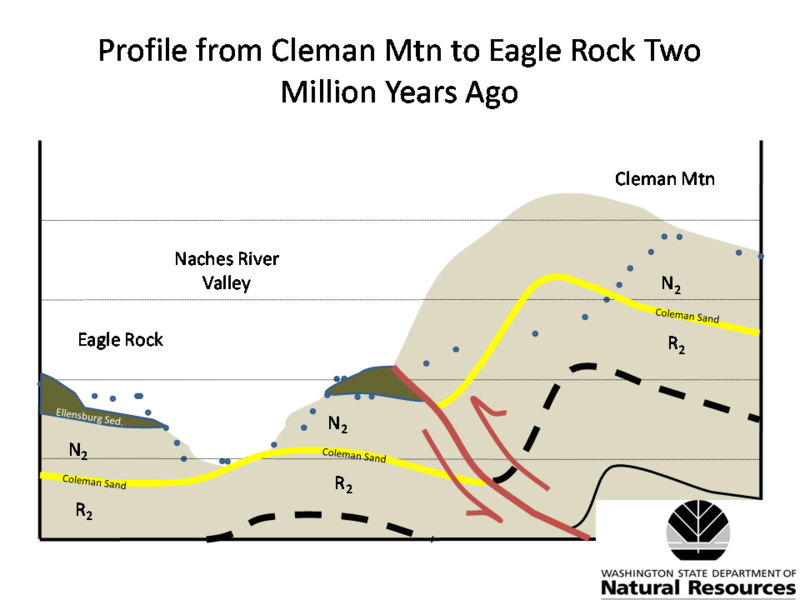 The age of the Sanford Pasture Landslide is unknown, but probably Holocene. 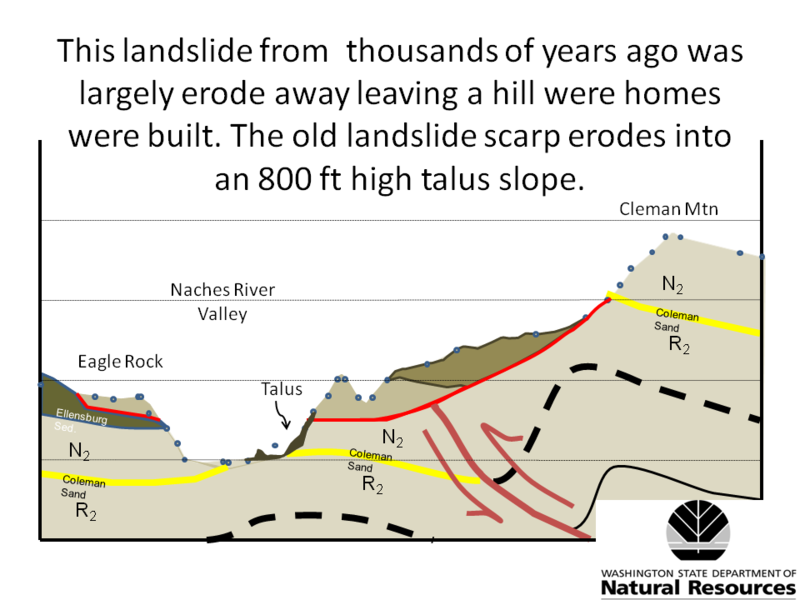 The landslide, when it moved, crossed the valley and flowed up onto the other valley wall. 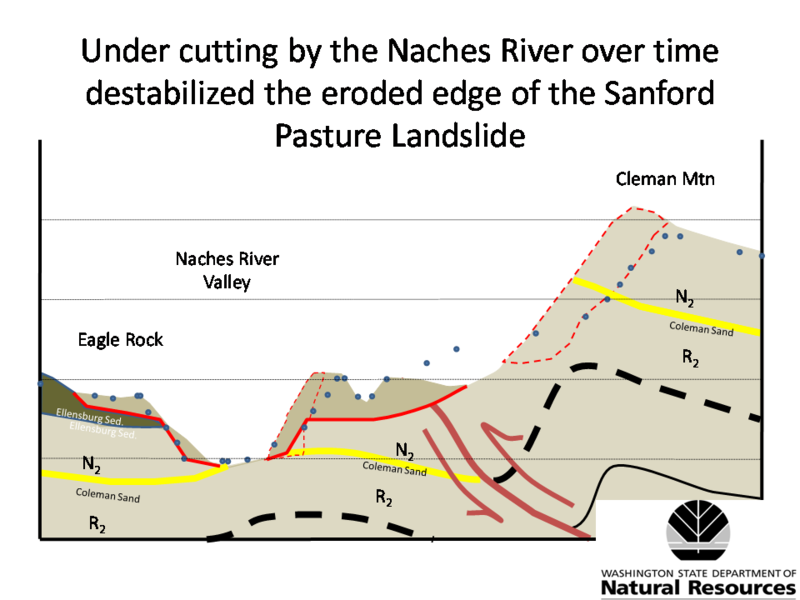 This might have been done is a rapid, catastrophic failure. 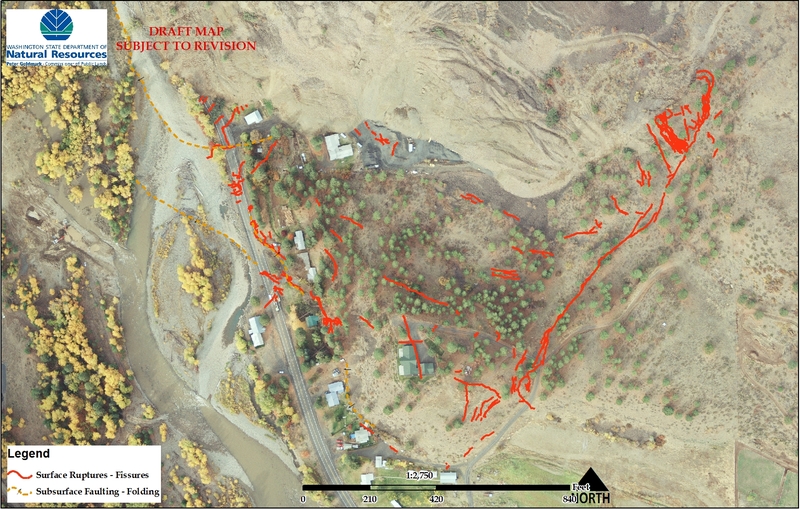 The landslide probably formed lakebed deposits upstream and sometime in the near future, we might be able to date this landslide. 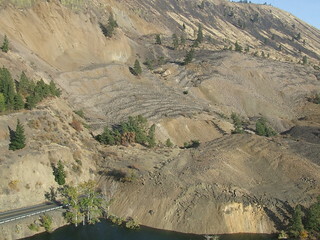 I am going to try and post some new photos either tonight or early tomorrow morning.